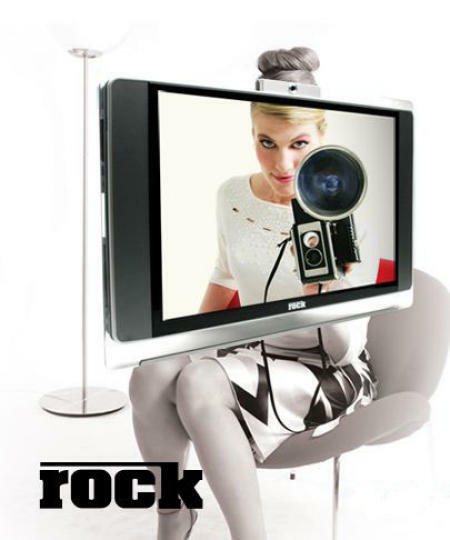 Rock have announced the Rock Meivo LCD TV. Although a modest looking 22″ TV on the outside, the Meivo is packing some serious gear on the inside. A complete Vista PC for starters with not one but two hard drives. Add to this no less than four Freeview and analogue TV tuners and integrated Wi-Fi for direct connection to the Internet and you have a fully spec’d Media Center PC all wrapped up in a telly! Meivo (pronounced “My-Voh”) apparently stands for Multimedia Entertainment Integrating Video-On-Demand, which, if nothing else, gives you a hint of the purpose of this device – and the reason behind the odd-sounding name, too. Not only does the Meivo come with four tuners, it also supports IPTV for true Video On Demand, enabling you to watch new IPTV services, such as Channel 4’s forthcoming 4OD. One of the problems with squeezing a PC into an LCD TV like this is future-proofing. Your average media-center PC tends to be less powerful than a much cheaper desktop, while upgrading the internal PC gubbins is either difficult or impossible. Fortunately, the Meivo is off to a good start with an Intel Core2Duo processor, and any MXM-supporting nVidia graphics card you care to add, which should be more than capable of managing your media needs for some time to come. In addition, most PCs slow down as they age because of the applications that are loaded onto them that stress the system over time, but with the Meivo, you’re only using its internal PC for media viewing and organizing, and the Core2Duo is more than capable of handling this. In addition to the PC, the Meivo comes with a tonne of other goodies as well. 7.1 sound output, memory card reader, Wi-Fi, and Bluetooth and USB for connecting to mobile phones and MP3 players, meaning that all your media files can be pumped into the Meivo, no matter where they’re currently located. Add to this an RF keyboard and mouse for controlling the Meivo or browsing the Web, and HD-DVD and Blu-Ray drives, which are expected soon, and you end up with a seriously interesting package that could make the media streamer redundant. Of course, this all depends on how good the screen itself is, but this, too, doesn’t look too shabby, with HD support (though only 720p) and 1680 x 1050 resolution. 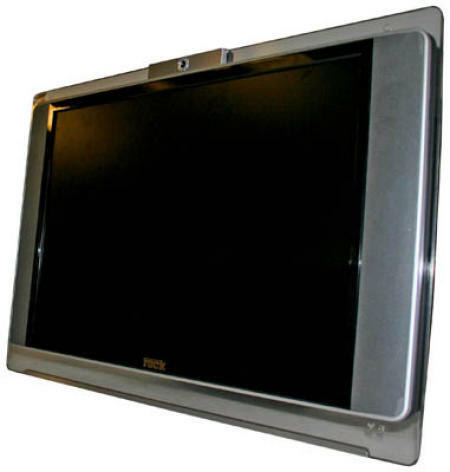 The Rock Meivo LCD TV release date is scheduled for end of April 2007, and should cost around £1000 excluding VAT. World's Slimmest LCD TV by Asus!